Tommy Edman reached base three times and was 1-for-2 in stolen base attempts but did not touch home as Surprise’s losing ways continued on Wednesday. Andy Young walked twice and Lane Thomas singled and swiped a bag. Results from the game played Wednesday, October 24th. Surprise’s troubles continued on Wednesday with a 3-2 walk-off defeat at Glendale as the Saguaros fell for the seventh game in their last eight. It was only the third victory in 13 games for the Desert Dogs. The Saguaros (5-8) struck scoring gold first, pushing across two tallies in the game’s initial frame. 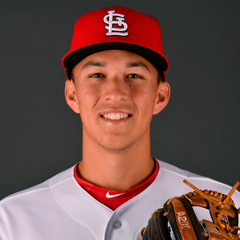 St. Louis’ Tommy Edman opened the contest by working his sixth free pass of the Fall campaign but was wiped off the base paths when Juan Pablo Martinez (TEX) ground into a 4-6 force at second. A double by Will Craig (PIT) brought Martinez across home. 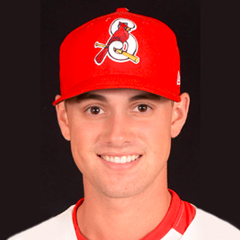 After Andy Young (STL) was issued the first of his two free passes, a fielding error by Glendale’s left fielder allowed Craig to score from second. But that was it for the visitors’ scoring as the Saguaros were held to just six hits and went 0-for-10 with runners in scoring position. Edman garnered one of those hits, a second-inning single that went for naught when the shortstop was caught stealing to end the frame. Edman reached base one more time after being hit by a pitch to open the seventh. A stolen base and wild pitch by former St. Louis farmhand Rob Kaminsky advanced the Stanford product to third, where he was stranded. Right fielder Lane Thomas extended his modest hitting streak to three games with a 1-for-4 effort including three strikeouts and a stolen base. Young was hitless in two at bats with the aforementioned two walks. Starter Tai Tiedemann (TEX) was charged with two runs on four hits and four walks in three plus innings and fanned four. Blake Weiman (BS, 1)(PIT) was unable to escape the bases-loaded with none out jam left him by Tiedemann and allowed the tying run to score on a sac fly. The southpaw struck out four in three frames, yielding one hit and a free pass. Toronto right-hander Zach Jackson was impressive during his two-inning stint, retiring all six batters faced, four of them on strikeouts. But Demarcus Evans (L, 0-1) recorded just one out while permitting the walk-off run on a one-out double and two-out single.